Student Council fills the National University of Architecture and Construction of Armenia with color and harmony which consists of council students who spare no effort and energy. 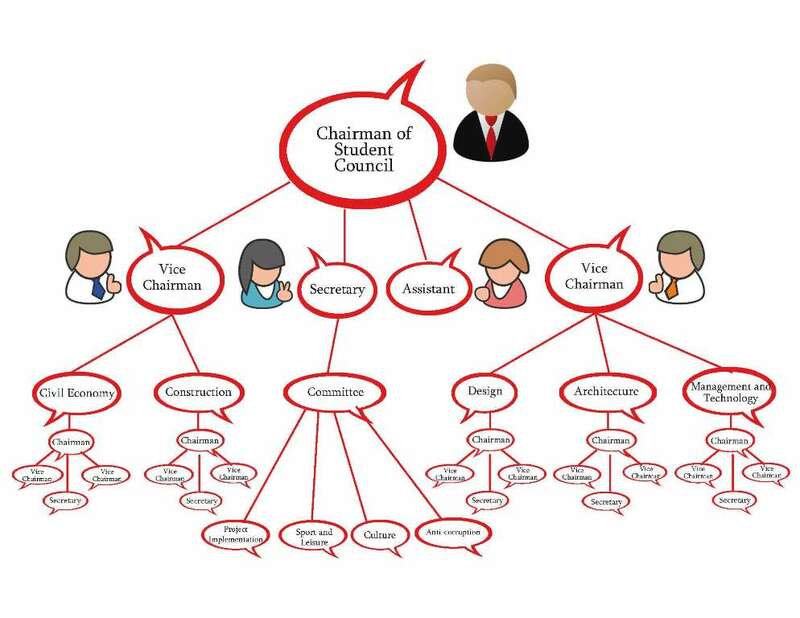 The chairmanship of Student Council is composed of the chairman, vice chairmen, secretary, assistant, heads of 4 committees (cultural, sport and leisure, media, anti-corruption) and chairmen of 5 faculties. Student Council of National University of Architecture and Construction of Armenia keeps informing the leadership of university about organization of activities with students, as well as on proposals, requirements and programs of students. 25% members of Scientific Council and Governing Council of University are students. Therefore, the student participation and awareness of the university’s ongoing changes and decisions is great. The main objective of Student Council is to protect the rights and interests of students implemented in the governing committees of the university through representative-delegates of the council. One of the functions of Student Council is also to help the socially vulnerable students, to raise the military and patriotic spirit and to organize the leisure, rest and university life.